Our decades of experience make a difference for you At John T. Phipps Law Offices, P.C., we provide client-centered, innovative legal services. We work with our clients to solve legal problems of all kinds, using our experience at the negotiating table and in court to obtain the best possible results. Our excellent record of success continues to grow due to our case preparation and collaborative work with our clients. Our law firm is well-known in the Champaign area for our skill at both negotiation and trial, especially in divorce and custody cases. With more than 40 years of trial and appellate litigation experience, we are recognized for getting the best possible outcome for our clients. We have the expertise needed to negotiate settlements that protect your interests, but will readily go to court to fight for the result you deserve. We handle divorce cases, all types of lawsuits and work in many other areas of law Our firm focuses on divorce litigation. We understand people's concerns about their future. We work with our clients to take decisive action to protect their interests, and obtain a positive outcome that serves them and their children. We recognize that people experiencing divorce are undergoing some of the greatest stress that they will ever encounter, so we work with them to reduce the emotional drain and help them come through the process to get a fresh start. We like to think that at the end of the case our clients have been better served because they chose us to represent them. We help people with all kinds of other civil disputes and trials such as contract and business disputes, probate, select criminal cases and all other types of litigated cases. We protect and fight for your rights using the wisdom of our experience to vigorously pursue the best possible result for you. Our firm also handles many other transactions, from real estate transactions, wills, trusts, probate business formation and business and personal contracts and related matters. Learn more about our range of legal services. We are committed to serving our clients, the public and the profession We have a distinguished history of providing service to clients and the bar since 1965. 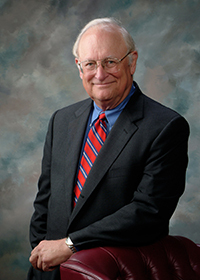 John T. Phipps is highly accomplished in the practice of family law and trial practice. He takes pride in sharing his knowledge with other lawyers through his many lectures and articles drawing upon the expertise that he provides to benefit his clients. Read more about Champaign lawyer John T. Phipps and how he uses his accomplishments to benefit his clients. Choose an effective lawyer for help with your legal problem Our firm has the experience necessary to provide thorough guidance and deliver results. We care about your legal problems and offer thoughtful and compassionate assistance. We believe that people who choose us to represent them have a strong chance of finding a better personal circumstance on the other side of their legal problem. Divorce Our firm focuses on the central aspects of your divorce and what is important to you. John T. Phipps brings the perspective of experience to each divorce case. He steers a divorce through the settlement process to try to reach agreement and to try to avoid the expense and trauma of trial, but will litigate divorce cases vigorously when his clients' interests are at risk. Our firm focuses on the central aspects of your divorce, including: -Grounds for dissolution of marriage -Division of assets and debts -Custody -Spousal support -Child support -Domestic violence issues -Jurisdictional issues You can count on our continued support if modifications to the divorce decree are needed in the future as circumstances change. Paternity We help people who seek to establish or deny paternity, child support and related matters. Prenuptial agreements We provide legal advice and prepare Prenuptial Agreements. Prenuptial Agreements save unnecessary complications in the future as well as take the financial issues and uncertainty from new marriages which enhances the marriage because parties can remove finances as an issue and protect their children with an individualized Prenuptial Agreement. Civil and criminal litigation We can often resolve civil conflicts through sophisticated negotiation. If settlement does not work out, we litigate your case in court to ensure your rights are upheld. We handle civil disputes including: -Commercial litigation -Contract disputes -Real estate disputes -Probate disputes -Business disputes -All types of other civil trials John T. Phipps Law Offices, P.C. also handles complex multiparty cases. We are known for our ability to successfully work out many civil disputes without the need for going to trial. While our criminal experience is considerable, we now limit our criminal practice to providing effective criminal law representation for white-collar crimes, domestic violence matters and DUI/drunk driving. We have years of experience on all sides of the criminal law process and use this knowledge for our clients' benefit. Criminal cases are difficult, and persons facing criminal charges need a lawyer who will protect their rights, knows how to meet the challenges and understands the problems the client faces. With more than 40 years of experience practicing law in Illinois, I am able to bring creative solutions to my clients' problems. One size does not fit all, so we listen to our clients and learn about their case and provide personalized representation to each client and our work is designed to fit each client's specific needs. I provide using our extensive knowledge to help and experience. Because of our experience in so many different practice areas we bring a "big picture" perspective to our clients' problems which benefit each client. Other lawyers look to me for guidance in the fields of family law and civil litigation. I give continuing legal education lectures, to other lawyers edit a newsletter read by many Illinois attorneys and have published more than 100 articles or book chapters on a variety of legal topics. Most recently, I wrote the chapter on Modification of Support and Maintenance in Divorce cases for the 2011 edition of the Illinois State Bar Association Family Law Handbook. As a client, you will directly benefit from my recognized expertise. The Illinois State Bar Association has honored me with numerous awards in acknowledgement of my contributions to my clients and the profession. I was pleased to be named a Laureate of the ISBA Academy of Lawyers in 2007, as this honor also recognizes my services to clients. Indeed, my greatest reward is my ability to use my experience and knowledge for the benefit of people I represent. I have been recognized as both an Illinois Leading Lawyer and Illinois Super Lawyer. I am also a leader in providing legal services to the disadvantaged through my work with Land of Lincoln Legal Assistance Foundation. I care about your problem, and I have the necessary skill to help you solve it. Make an appointment to review your legal concern with me at John T. Phipps Law Offices, P.C. Village of Mahomet, IL, 19701975: During service as village attorney, the village enacted the comprehensive plans and updated its zoning ordinances which provided the basis for Mahomet's growth. Village of Bondville, IL, 19711977: Bondville had been incorporated as a village only a short time before appointed. During service as village attorney, the village developed and enacted the comprehensive plans and basic zoning, building codes, and basic ordinances to meet village needs.